Every morning, Andres gets up at 5:30 a.m. to attend San Francisco de Asís Educational Institution, in Bogotá, Colombia. At just 9 years of age, he already knows what he wants to do when he grows up: his dream is to boost development and help as many people as possible, with the help of innovative technology. On a bright day in October, Andres and his classmates took part in a rather different kind of lesson at his school. As part of Samsung’s Global Volunteer Festival, Samsung employees arrived to teach students about the Internet of Things (IoT). While Andres had heard of IoT technology, he was not sure what it could mean for him. He was excited to learn more. As an industry leader, the company is aware of the importance of training tomorrow’s innovators in new skills. 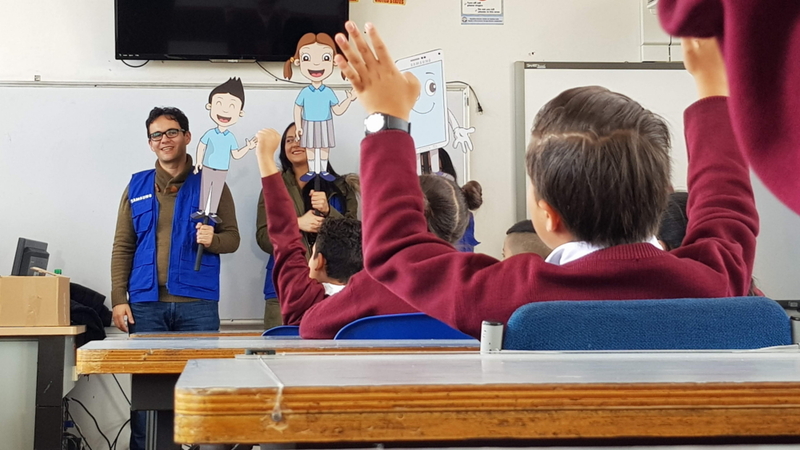 Using puppets to tell an engaging story, volunteers from Samsung Colombia introduced the children of San Francisco de Asís to cutting-edge technologies, including the IoT. 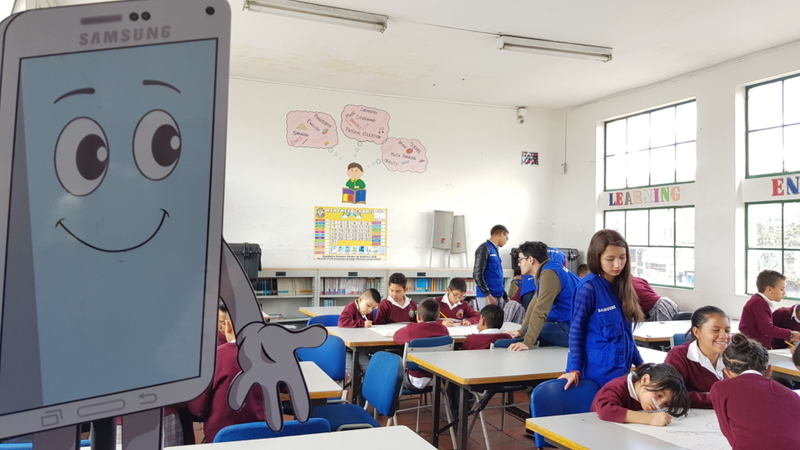 Throughout the lesson, the children were encouraged to ask questions, and Andres’ friend David, seated in the front row, was particularly attentive, enquiring how IoT devices could help him. He wondered what would happen if something as simple as a notebook was connected to the internet. At the end of the story, the children were encouraged to reflect on what life would be like if things like a suitcase, clothes or tennis shoes were connected to the Internet and how it might make their lives even easier. They were asked what kind of objects they would connect to the IoT. Together, Andres and his friends imagined what it would be like if a tennis racquet was intelligent and connected to the internet. This racquet would sense their movements and measure how well they played every time they used it. It would suggest better moves, training activities, and even send a reminder to their phones whenever they miss tennis training. The racquet would also use fingerprints to sense if it was Andres or another of his friends who was using it. Additionally, a connected tennis ball could help Andres know how fast he was hitting it and follow the trajectory of the ball to monitor and improve his tennis. 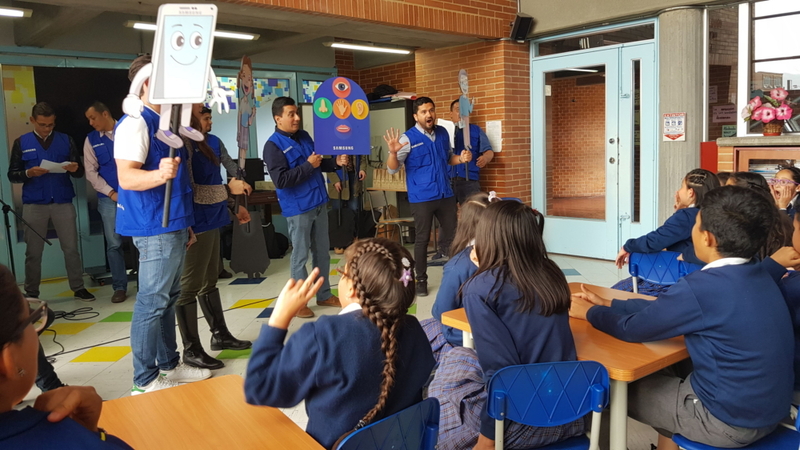 In this entertaining and dynamic way, Samsung volunteers were able to teach hundreds of children of San Francisco de Asís about the new opportunities presented by IoT technology and how connected living can improve our day-to-day lives. The team was also delighted to participate in this type of social initiative and share their work with children like Andres. “The experience of being with children and sharing time with them makes a big difference to a normal working day. It brings great satisfaction to give back in this way. 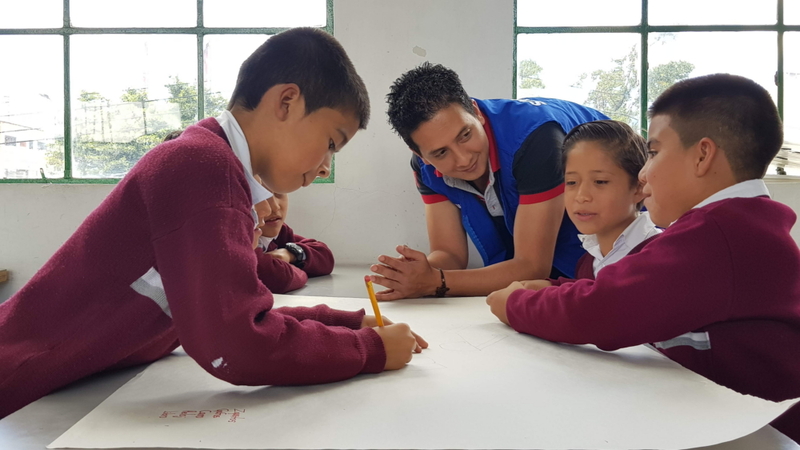 We volunteers also learn from the students: witnessing children as they naturally develop their creativity, helps you reconnect with your inner child.”, says David Setton, a volunteer of Samsung Electronics Colombia. After the lesson, Andres was excited to tell his mother about his experience, He explained to her what the IoT is and how he and his friends had devised a new IoT product during the lesson. Andres was thrilled with the opportunities presented by this new technology. The lesson confirmed that in the future he wants to help as many people as possible with IoT technology. This project is also a part of the annual Samsung Global Volunteer Festival held in October, a broader approach for Samsung employees to positively impact communities around them.